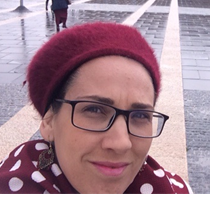 "The project has helped me make connections with members of the Knesset. I accompanied Knesset Member Dr. Aliza Lavie, and I wandered around the corridors of the Israeli Knesset. I saw woman leaders in the political field. I went to important committees meetings and understand more deeply how this scene works. I would not have had this experience if it were not for the program….In addition, we had to create a vision for ourselves and connect the vision to the goals that we want to achieve. We were closely monitored, and [the program staff] offered help for any difficulty or dilemma we faced, and they were always there for consultation. This is was very helpful."